Aerial of harvesting lettuce at Harris Farms in San Joaquin Valley, California. 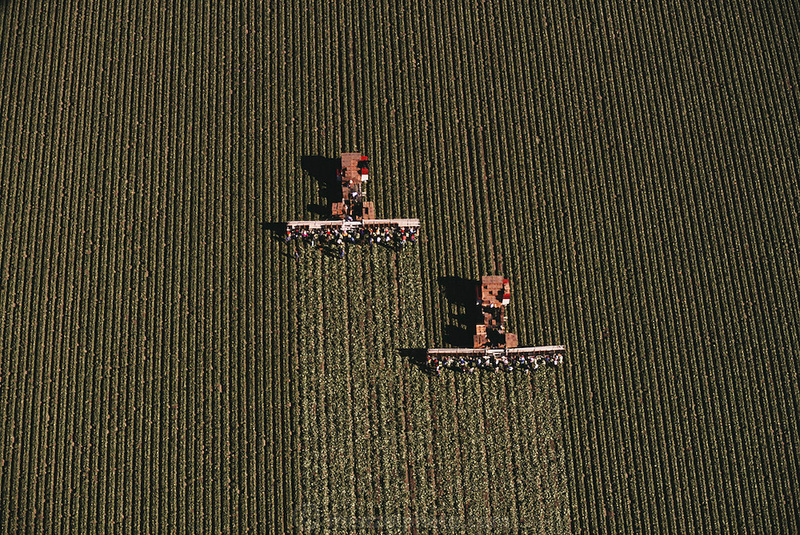 Two large trucks pull conveyors with farm workers sitting low to the ground, enabling them to cut the lettuce as workers on the trucks pack it in crates as they move through the fields, harvesting 16 rows at a time. USA.